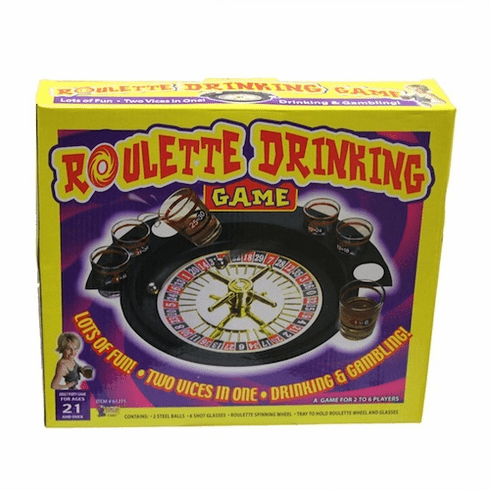 If you are a drinker and you love to gamble, this at home Roulette Drinking Game is for you! It is designed for 2 to 6 players and promises hours of entertainment. The set comes with 2 steel balls, 6 shot glasses, a Roulette spinning wheel and a tray that holds the wheel and the shot glasses. With multiple variations on ways to play the game everyone is sure to have a good time. Last player standing wins, and unlike the casinos in Vegas, your wallet remains intact! Ages 21 and up.